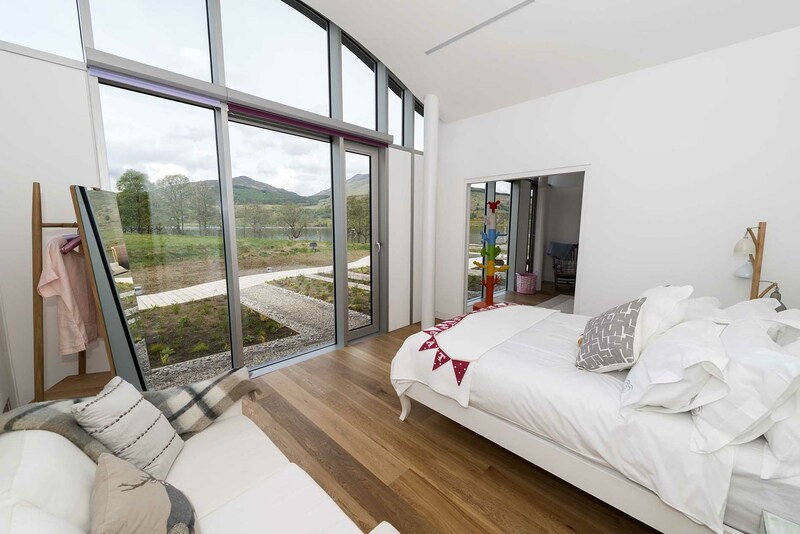 The Ripple Retreat is a purpose-built sanctuary for children affected by cancer, set up and funded by, ‘It’s Good 2 Give!’ charity. 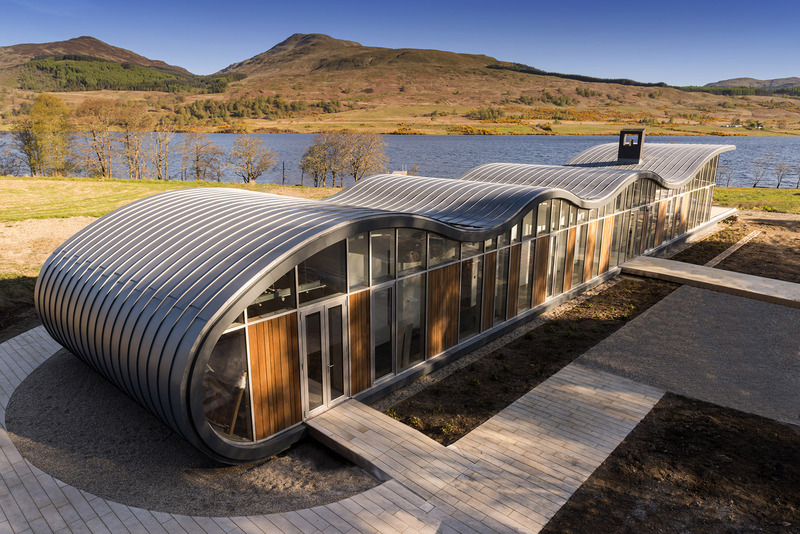 The Kettle Architects designed, multi-award-winning structure is informed and inspired by its lakeside location in the Trossachs national park. This is reflected in the rippling roof, clad in pigmento blue zinc to capture the changing light, and in the expanses of glazed façade which connect the interior to the building’s idyllic setting and provide important visibility to play areas. 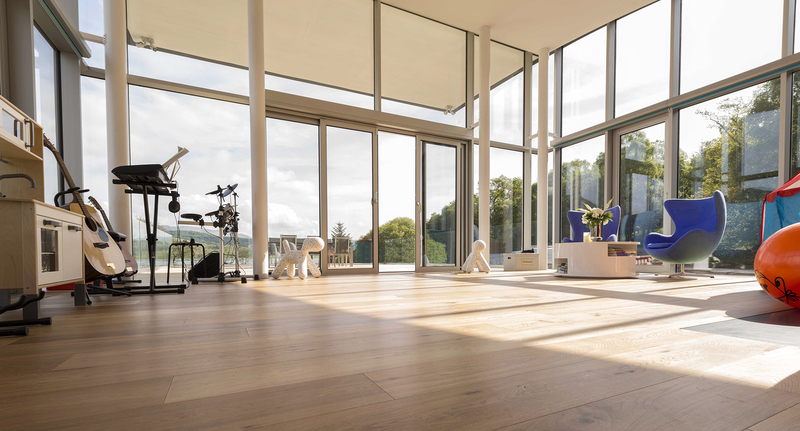 With endless design flexibility, Metal Technology systems were pivotal to the project, which utilised System 17 capped curtain walling, System 5-20D and System 25 lift-and-slide doors and System 5-20 tilt-and-turn windows. 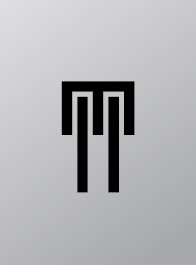 These systems were chosen for their positive contribution to the creative aesthetic and their all-round performance, meeting Kettle’s criteria of “a model sustainable building both in its layout and specification.” All Metal Technology Systems are designed to deliver impressive ascetics with full structural integrity, high levels of weather performance and thermal enhancement, whether used in isolation or in an integrated scheme.